WAITSFIELD -- Nicholas Harmon, co-owner of Verilux "happy lights," credits 20 to 25 percent of his company's annual sales of $10 million to $15 million to Amazon.com. 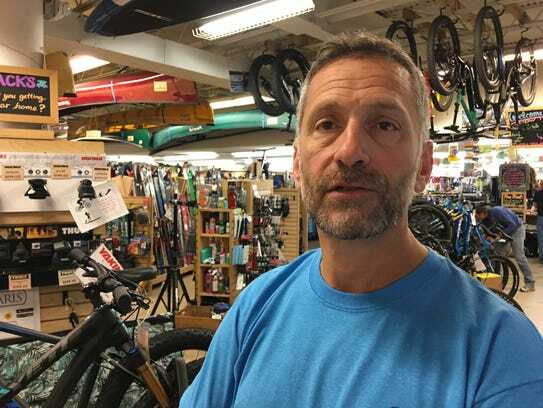 Marc Sherman, co-owner of Outdoor Gear Exchange in downtown Burlington, says Amazon generates 25 percent of his annual revenue. Sherman declined to disclose the amount of that revenue. Amazon says there are more than 5,000 "authors, sellers and developers" in Vermont selling on its website. You know many of the names, from Vermont Teddy Bear to Gardener's Supply Co.
"It is without a doubt the biggest marketplace in the world," Sherman says of Amazon. "They access every country. They're all over." 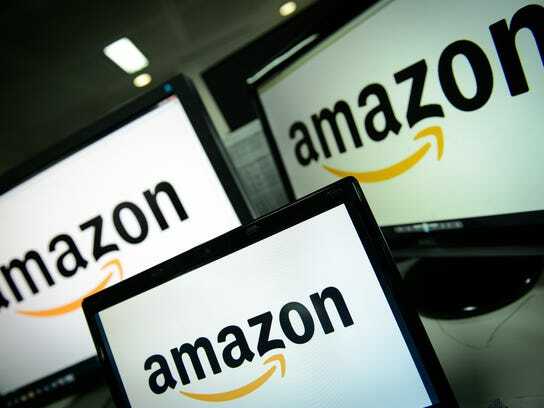 Amazon claims 300 million customers in the United States and abroad. It says businesses of all sizes can reach those customers through a program called Fulfillment by Amazon. Sellers ship their products to Amazon, which fulfills orders that come through its website for a monthly fee of $39.99 plus a percentage of sales. Sherman participates in the Fulfillment program, as well as selling direct on the Amazon website. He has hired an Amazon manager for Outdoor Gear Exchange, who has an associate and an assistant. Earlier this month, Sherman was adding an office for Amazon operations to his warren of offices at the back of the retail floor on Church Street. Nicholas Harmon co-owns the business with his wife, AnnMarie. 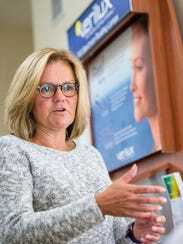 They moved Verilux to Waitsfield from Connecticut in 2003 to take advantage of the Vermont lifestyle. "One day we were out on the Long Island Sound, sailing," AnnMarie Harmon said. "We saw this brown haze over Long Island and this brown haze over Connecticut. That was our aha moment." The couple decided they wanted to raise their three sons, then ages 12, 8 and 4 in a healthier environment, and Waitsfield fit the bill. They were introduced to the Mad River community through ski trips to Sugarbush. "We don't regret it for a moment," AnnMarie Harmon said of the move. Verilux makes full-spectrum lights designed to bring daylight indoors, especially in the winter. 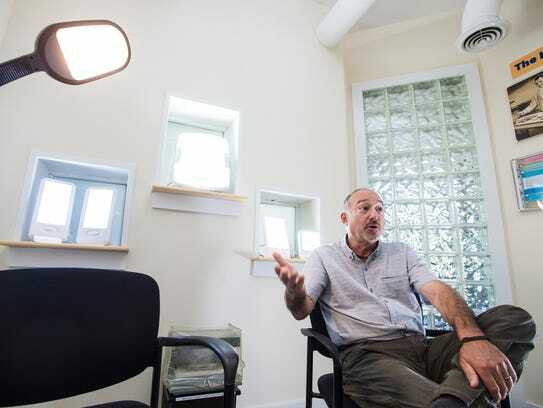 The company says its lights improve mood and energy by "triggering the release of serotonin," a neurotransmitter thought to be associated with feelings of happiness and well-being. In addition to generating one-quarter of Verilux's sales, Amazon solved a perennial marketing problem for the company. "We have a product that's more seasonal," Nicholas Harmon said. "It's very difficult for stores to stock. It sells really well in one season, but doesn't sell so well in the summer. Amazon gives us the ability to be on their shelves all year round, whereas CVS and Kinney need stuff to turn. They don't want product sitting on the shelf in the summer that doesn't sell." Harmon said he has been doing business with Amazon for more than 10 years. He initially met company representatives at a housewares show in Chicago. Verilux both has its own store on Amazon, selling direct to customers, and sells direct to Amazon through the Fulfillment by Amazon program. "There's a lot of responsibility on the manufacturer, even though they're buying the product, because if the product doesn't sell through, they don't buy more," Nicholas Harmon said. Harmon credits his marketing manager, Charlotte Addison, with knowing "all sorts of tricks" to do well on Amazon. "She could tell you but then she'd have to kill you," Harmon jokes. Addison said the most important "trick" is the thousands of four- and five-star online reviews Verilux receives from customers on Amazon, some of whom claim the HappyLight changed their lives. About a year and a half ago, Addison said, Amazon shut down any ability for companies to seed good reviews by giving people free product. "Amazon has replaced Google as the source for product research," Addison said. "They'll discover our products. They'll see those reviews and testimonials. It's compelling and authentic." There are more than 2 million small businesses and entrepreneurs around the world that sell on Amazon, according to the internet giant. They come from every state and from more than 130 different countries. Amazon invites any company that wants to sell through its platform to sign up at services.amazon.com. "There's not a lot of human contact, frankly," Nicholas Harmon said of working with Amazon. "It's a self-service platform." Addison said Amazon provides an "instant read" on sales, as well as a variety of advertising tools. 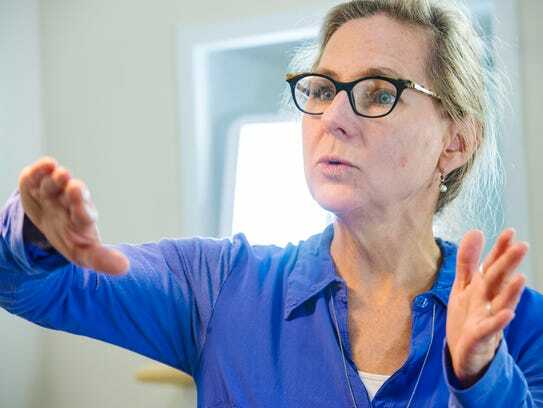 "They give you a lot of control, and they give you a lot of great reporting and data," she said. Thanks to Amazon, Verilux sells in every state. While Nicholas Harmon says he appreciates what Amazon's online platform has done for his company, he also says the Seattle-based company is "a little scary." Main Street retailers have suffered as a result of Amazon's rise to power, Harmon said, and it's hard to say who could be next to feel the dominating effects of the company. Perhaps it could even be Verilux. "Their play is data," Harmon said. "They know more about our customers than we do." Harmon points to paper shredders as an example of what can happen. Amazon now makes its own paper shredders under the AmazonBasics label. "They're probably selling a couple hundred thousand paper shredders a year," Harmon said. "You don't want to be too successful on Amazon, because then they'll start knocking you off."